…that two HEIDENHAIN controls are an integral part of an unusual deep-hole gun drill machine now in place at Dieffenbacher North America hydraulic press manufacturer. This deep-hole drilling machine has three spindles that can operate simultaneously over a 12000 mm table, enabling not only the manufacture of deep holes up to 2500 mm in very large press plates but to also machine the necessary pockets all at the same time. In order to set up the control of these spindles, area machine retrofitter Cybertech in Windsor, Ontario was called in during the final stages of machine development. “Our integration included two HEIDENHAIN controls – the iTNC 530 and the TNC 320,” explained Dave Allen, owner of Cybertech who added that the TNC 320 controls the process used to mill the pockets in the press plates as the machine is drilling deep holes via the use of the iTNC 530. “To do this, we set up overrides for each of the three spindles and connected the two controls via an RS232 interface to basically fool the machine into operating all simultaneously. We really had to do some very complicated PLC programming to make this happen. “This gun drill is programmed so that, if chosen, when the whole plate moves, that movement is transmitted to the TNC 320 and does an automatic offset,” said Allen. 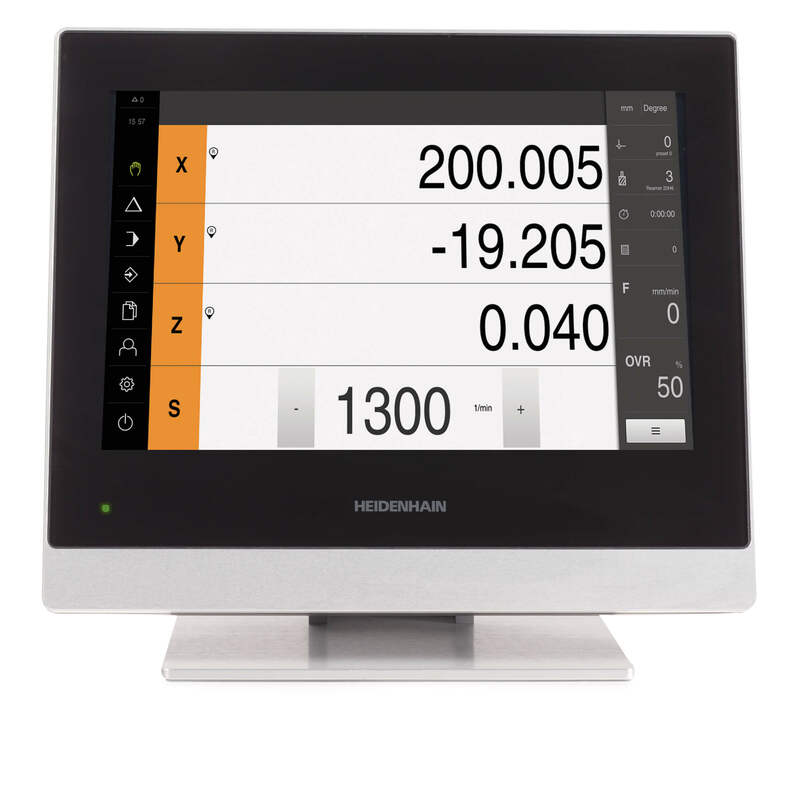 HEIDENHAIN’s iTNC 530 is particularly noted as a versatile, workshop-oriented contouring control for milling, drilling and boring machines as well as machining centers. It features an integrated digital drive control with integrated inverter, which enables it to produce a highly accurate workpiece contour while machining at high velocity. 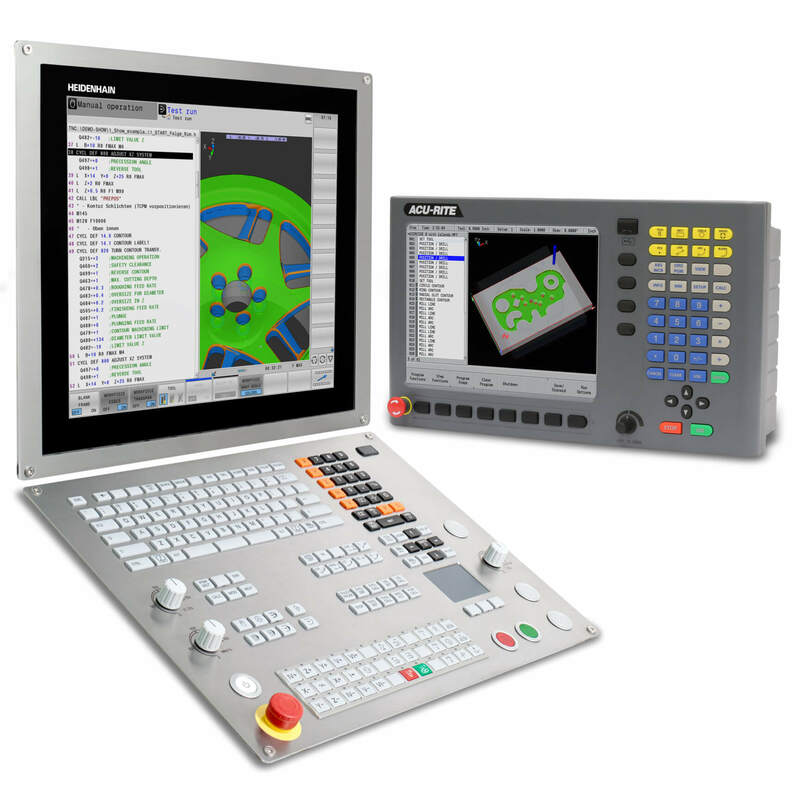 The iTNC 530 controls up to 13 axes and spindle. Its block processing time is 0.5 ms. The HEIDENHAIN TNC 320 is known for its flexible operating concept – workshop-oriented programmability with HEIDENHAIN conversational or external programming – and its scope of features, especially suited for use on universal milling, drilling and boring machines. Its TFT 15-inch color monitor shows a clear overview of all relevant information such as program blocks, comments and error messages.